Syrian dancer Princess Madiha hosted her 16th annual dance workshop and dinner concert earlier this month, raising over $500,000 to date. 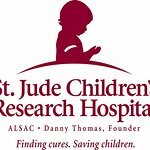 All of the proceeds benefit St. Jude Children's Research Hospital, an internationally recognized biomedical research center in Memphis, Tennessee, that searches for cures for childhood diseases, primarily pediatric cancers. St. Jude sees over 4,000 patients a year from over 60 countries across the globe, most treated on a continuing outpatient basis. It is supported mainly by volunteer contributions and federal grants. Princess Madiha’s dedication to St. Jude, the patron saint of those in need, was born from her desire to give back to the community that saved her son many years ago after a car accident. This latest event, attended by over 400 Arab-Americans, began with an all-day Middle Eastern dance workshop, and was followed by a family-style Middle Eastern dinner with live, professional, ethnic dance entertainment in vivid costume colour. What began many years ago as a small, local event with only the Princess and her students performing, has grown to attract local and international troupes and performers, and a growing and generous audience, already eager for next year’s production.